Rihanna is currently in Paris for the presentation of her Fenty x Puma fall collection and on March 3 a fan took some video of her on the streets of Paris. Unfortunately, there are no photos of this look, which is a shame because it involves some Raf Simons. Rih rocked an off white shirt from Simons’ Spring 2017 menswear collection [Look 32]. 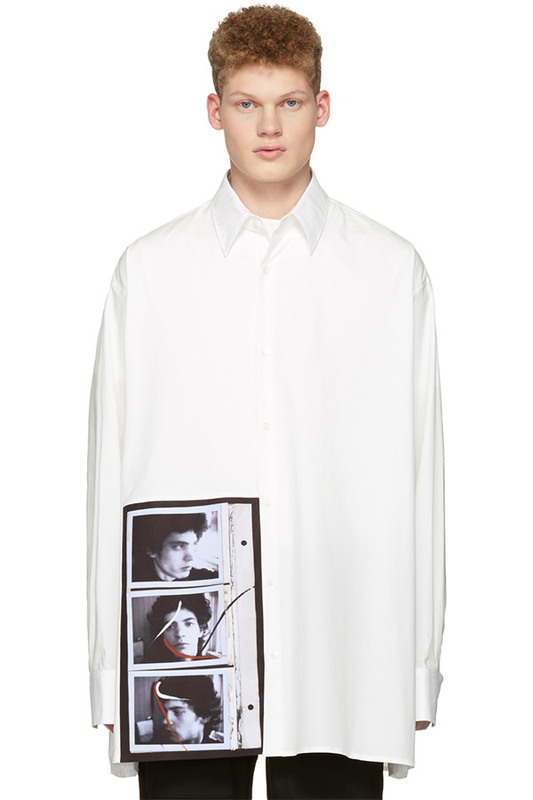 Designed in collaboration with Robert Mapplethorpe, there are three self portraits of the photographer on the front. The button down shirt features an oversize fit. Rihanna wore hers off the shoulder. Get it from SSENSE for $1,125. The black beret is Christian Dior Fall 2017 while the bag is from the Spring collection. This may be her favourite new hat since she wore it to the Dior runway show then to dinner with her team. The handbag is Dior’s D-Fence saddlebag made of white calfskin and it features a logo-embellished buckle fastening. Hit up a Dior boutique to purchase. It also looks like she wore her Vetements sock boots. The ankle boot boasts a BIC lighter-shaped heel and the brand’s logo on the front. 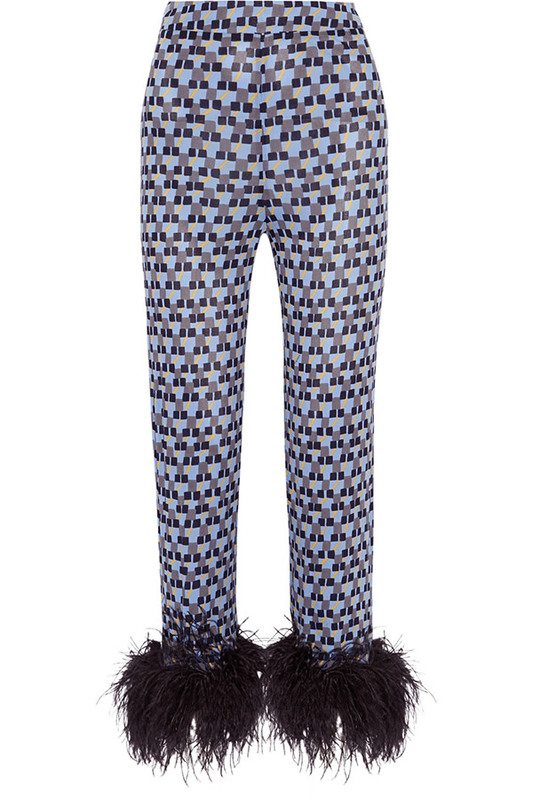 Update: Jahleel Weaver informed me that Rihanna wore feather-trimmed pants ($1,200) by Prada.